From the beginning of time, the word of God established the heavens, the earth and all that is contained therein. He spoke and the world came into existence. With only the whisper of His voice, the waters formed apart from dry land. His power is evident in the creation of all things by the power of His word. Peter reminds us the world is held together by this same word. The sun, moon and stars follow a determined path because the word of God speaks it. Everything about the earth and the preservation of life is in continual motion because of the word of God. We exist because the word of God allows it. Through each generation, the Lord has revealed His mind to man in many different ways. The Bible is the divine revealing of His will to all men and nothing can and has changed that word. Most men reject the Bible as truth because they find within its pages the reflection of who they are. The word of God is astonishing because it reveals the humility of man without God. Pride is the core character of man and allowing a belief in a higher God is difficult for man to accept. Rejecting the Bible as truth allows man to live as he desires. To the surprise of those who reject the Bible as truth will come the eternal realization that God’s word has always been true and their rejection has not changed the word of God in any way. Why do so many not believe in the Bible? Jeremiah declares the word of the Lord showing His word is like a fire or hammer. Fire cleanses by burning off the dross or excess. During the days of Jeremiah there were many false prophets declaring the word of God but not in truth of what the Lord had revealed. These false prophets continue today as many follow the allurements of those who teach what the Lord has not said. 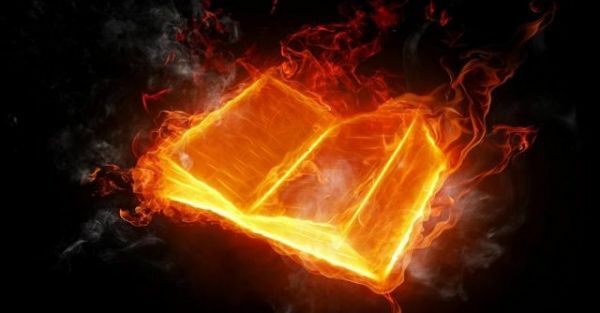 It is sad to realize how many good and honest hearts are being deceived because they are unwilling to let the fire of God’s word burn in their hearts removing the false promises of Satan’s minions. Fire is pure. The word of God is pure. It will destroy all those who stand against the Lord. Like a hammer, the word of God will break into pieces the tenets of false doctrine. When all religions are vanquished God’s holy word will abide. A further application is what the word of God does to the heart of man. The more time spent in the revelation of the mind of God upon the heart of a humble man – the more the influence of the world is burned off. The Bible crushes the desires of the flesh in the power of its word on the heart. Rocks of doubt, despair, hopelessness are broken apart by the word of God. A lifetime cannot contain all the message of God’s word as it penetrates deep into the core of man changing his desires, his hopes and his dreams. Fire is used to purify and refine. The Bible purifies the heart and refines the spirit of man to become more in the image of the Father. It will not take long before one realizes the Bible breaks up the stubborn spirit like a hammer. The fire and the hammer bring blessing to an honest heart. Let the word of God dwell in you richly letting the power of its fire and the force of it word change your life in the grace of a loving Father.